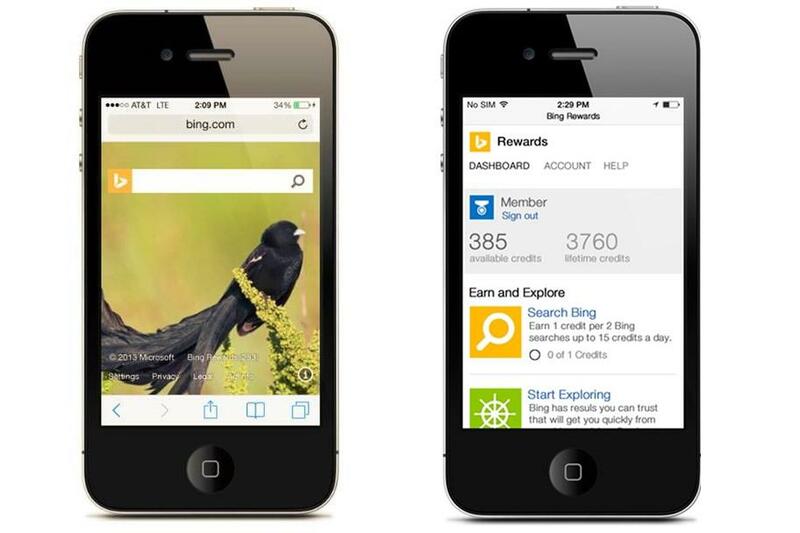 Announced within a post on the Bing Search blog earlier today, the development team that works on Bing Rewards has launched support for the search-based reward program for both iOS and Android smartphones and tablets. Oddly enough, Bing Rewards still isn’t available for the Windows Phone platform and remains in development for the time being. Of course, Bing Rewards isn’t a mobile application, but rather a version of the Bing.com site that’s loaded within a mobile Web browser like Safari or Google Chrome. If you aren’t familiar with Bing Rewards, Microsoft is attempting to provide an incentive for Web users to use the Bing search engine instead of Google. After signing in with a Microsoft or Facebook account, Bing Rewards members can earn points by using Bing as their main search engine. For instance, users can earn a maximum of 15 rewards points by completing 30 searches each day. In addition, users can earn points by utilizing Bing tools like Images, Videos or Maps as well as looking up flights on Bing Travel. Users can also earn rewards for mobile-specific tasks as well. After enough points have been collected, users can redeem the points for Microsoft-specific rewards like Xbox Live or Skype credit as well as gift cards for popular retailers like Amazon and Starbucks. Besides gift cards, users can also gamble with the points on a chance to win prizes in sweepstakes or give the points away to charities like Teach For America or the Boys and Girls Club of America. There’s also a more specific program that allows users to give points to local schools. Those points would eventually be spent on Surface RT tablets for kids to use in the classroom. Microsoft plans to add support for redeeming rewards on mobile devices at a later date, but users can use the regular Web interface on the PC to redeem their points. Microsoft has also built in a system that allows users to earn higher status levels with extra benefits. For instance, the Gold level status gives users up to 10 percent off on all redemption rewards.